When the Chesapeake & Ohio gained control of the Pere Marquette Railway during the 1920s through its ownership at the time by the Van Sweringen brothers the company instantly served the entirety of Michigan. 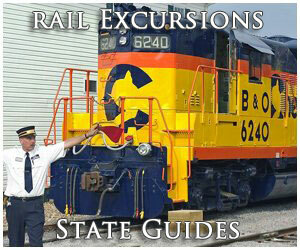 This also gave the C&O access to the then vitally important city of Detroit (for rail service). 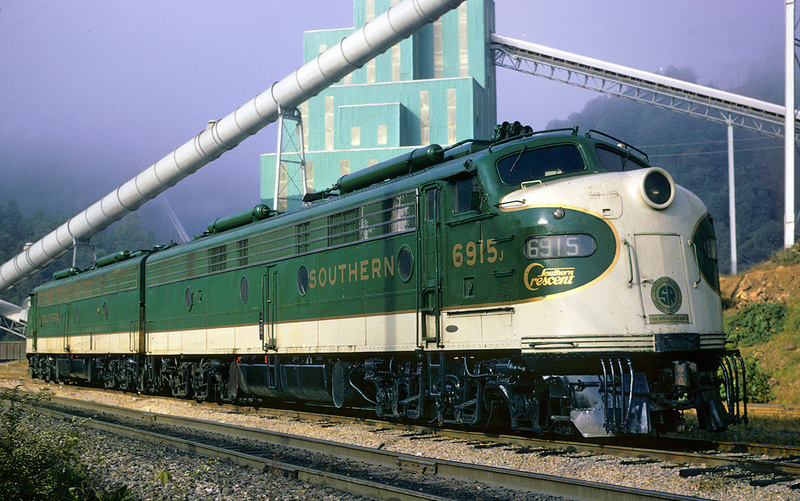 While the railroad was never on the forefront of passenger rail service it eventually launched a new named train to connect Detroit with the Virginias called the Sportsman. The train operated on a roundabout schedule in an attempt to reach all of the major eastern markets it either directly or indirectly served. Eventually, the train was streamlined when the C&O put in a large order for new equipment around the end of World War II. 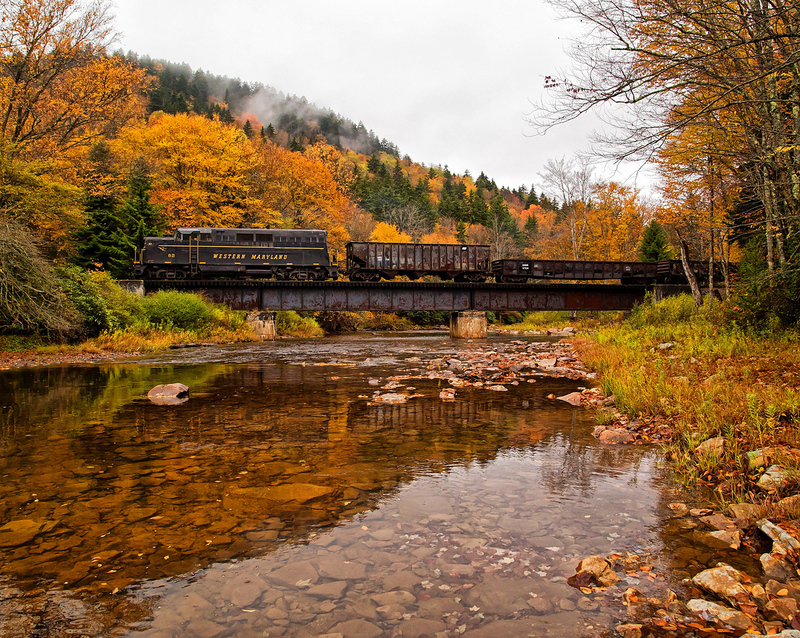 Interestingly, the train would survive the railroad's once flagship run, the Fast Flying Virginian, as it remained in service all of the way until Amtrak took over intercity passenger services in the spring of 1971. When the Chesapeake & Ohio took over the Pere Marquette the PM provided regional service across Michigan but not much else. 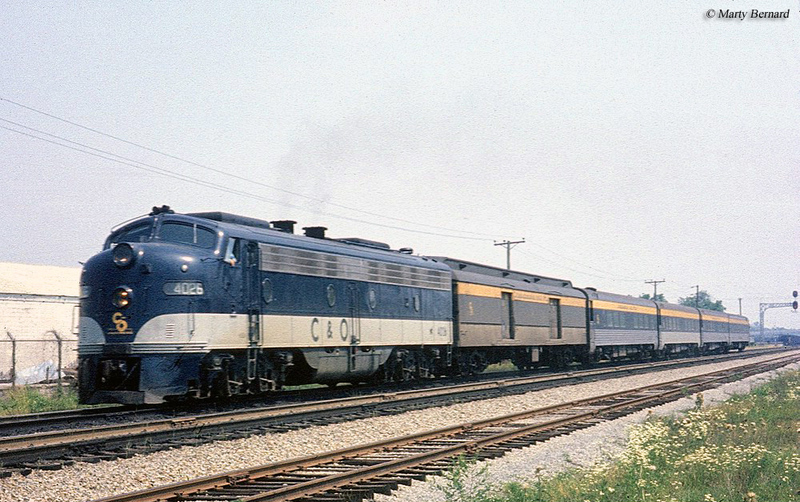 As such, the C&O looked to expand these services and link Michigan to its own network that reached Chicago, Cincinnati, Louisville, and the East Coast cities of Washington, D.C., Charlottesville, and Norfolk/Newport News. While there was a brief delay the Sportsman finally entered service on March 30, 1930 between Detroit and Newport News, according to Thomas Dixon's "Chesapeake & Ohio Railway: A Concise History And Fact Book," with an available connection to Washington, D.C. via the Southern Railway at Charlottesville. 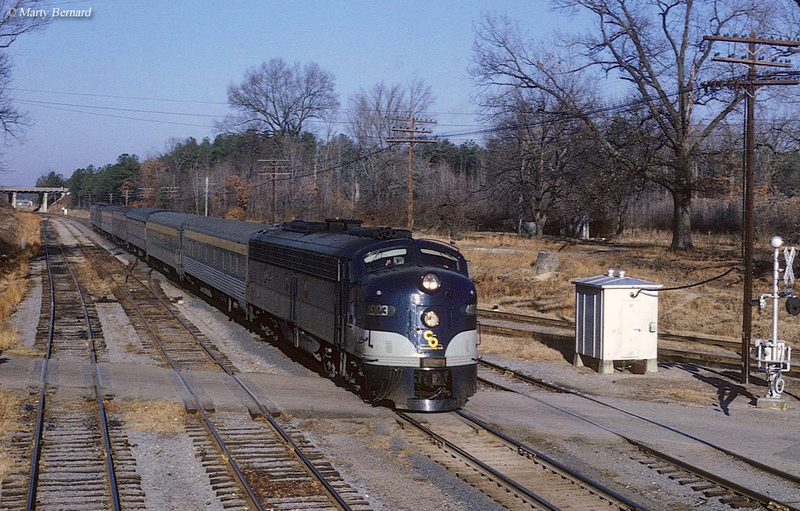 Additionally, some years later after World War II and the addition of new streamlined equipment the C&O launched other Michigan services dubbed Pere Marquette that connected Detroit-Grand Rapids, Chicago-Grand Rapids/Muskegon, and Detroit-Saginaw. 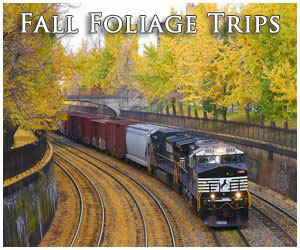 For more information about the C&O's late-era services please click here. It is somewhat interesting that when the train was launched the C&O took a much different stance to passenger services something that drastically changed just two years later during World War II. 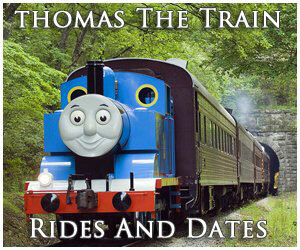 Overall, the C&O at the time did not believe it necessary to spend vast amounts of money on passenger trains. 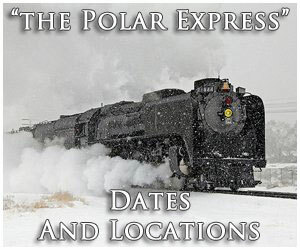 The train, listed as #4 and #5 on the railroad's official timetable, was a very modest operation featuring heavyweight equipment and the railroad's new Class F 4-6-2 Pacific steam locomotives. In total, there were five of these locomotives, 490-494, and were built at the company's shops in Richmond during 1926. While not streamlined the steamers were elegant nonetheless with gleaming, shiny paint and white-wall wheels. The actual consist of the original train included a combine that offered smoking service, "Imperial Salon" coaches (something that would also be offered on the George Washington inaugurated in 1932), a diner and club diner (the former was only offered east of Ashland, Virginia while the latter west of the city), Pullman sleepers, and an observation-lounge. Interestingly, this heavyweight equipment on the train lasted only about 14 years. In 1942 the Chesapeake & Ohio gained new leadership in the way of Robert Young, who as it turns was a strong proponent of passenger rail service. With the back of the board of directors Young quickly set out to purchase new, lightweight cars to completely reequip its passenger fleet. In 1944 the C&O placed its first order of 14 streamlined, lightweight cars from Pullman-Standard to update its regional services in Michigan on the former Pere Marquette. 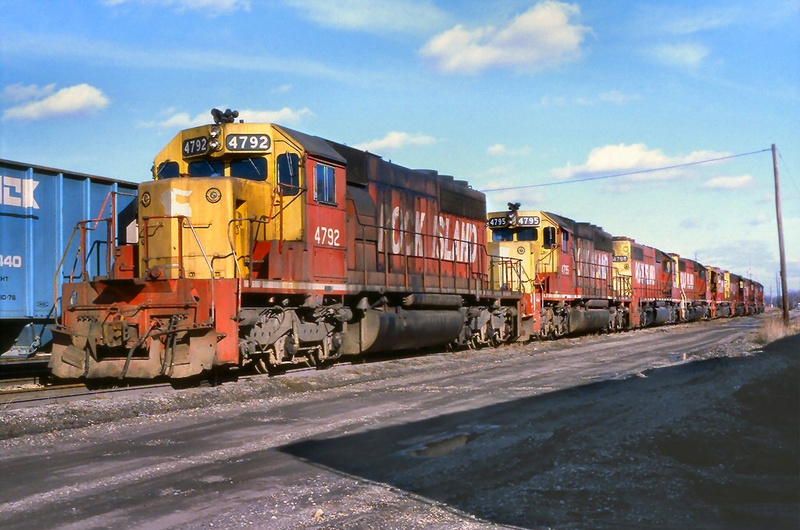 Then, in 1946 the railroad placed additional orders; 46 cars from the Budd Company as well as 287 additional cars from Pullman to complete the upgrade of its fleet. Unlike most lines which simply placed its order or hired an industrial designer to design and layout car interiors, the C&O through its research department worked very closely with Pullman and Budd with its cars. For instance, the railroad moved its most expensive bedrooms to the center of the sleepers where the ride was smoother and partitioned its coaches to give passengers a more "roomy" feeling while seated. Around 1950 the C&O began receiving its new cars although it ultimately cancelled part of its order. Around this time the Chesapeake & Ohio also began receiving new streamlined diesels from the Electro-Motive Divisions; E7As (1948), E8As (1951-1953), and FP7s (1952). 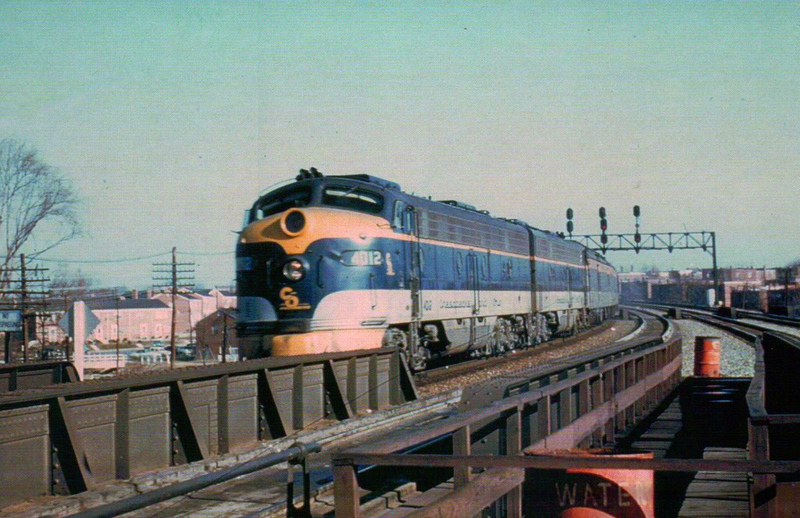 Overall, the new locomotives and cars came delivered in a beautiful livery of gray, yellow, and deep blue that was somewhat similar to the passenger scheme used by the neighboring (and eventual subsidiary) Baltimore & Ohio. Like its counterpart, the Fast Flying Virginian, the Sportsman was purposefully scheduled so that passengers could see the beautiful New River Gorge and Appalachian Mountains during the daylight hours. Unfortunately, by the time the Chesapeake & Ohio received its new equipment and upgraded its passenger trains, patronage from the public was already declining and continued through the 1950s with the advent of faster airlines and the new Interstate Highway System. On April 29, 1962 the train was dropped east of Ashland and combined with the F.F.V. 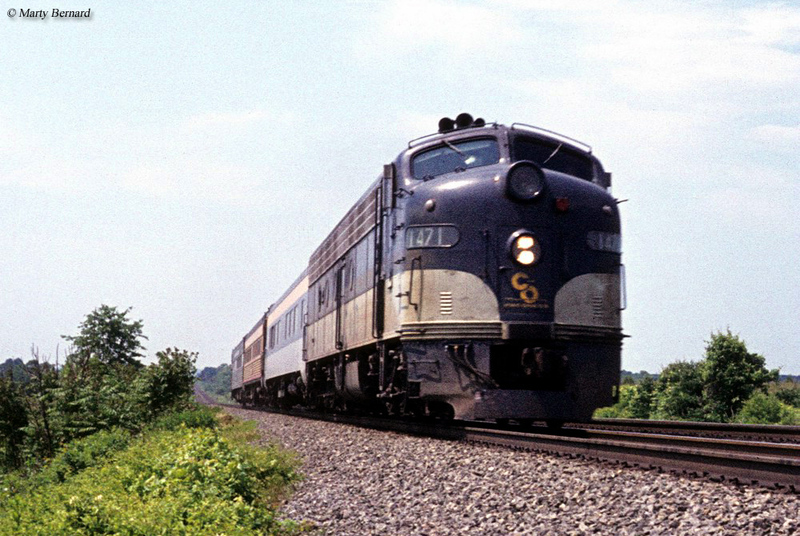 By 1968 most of the C&O's remaining services were combined along most of their routes with service on the Sportsman cut down to just three days a week (Friday, Saturday, and Sunday) after August 2, 1970. Interestingly, though, the train survived until the last day before Amtrak on April 30, 1971.